Dry mouth, also known as xerostomia, refers to the state of the mouth in the absence of saliva. As a liquid containing nutrients and antibacterial properties, saliva is essential for good oral health. A lack of saliva raises risks of tooth decay and gum disease, potentially leading to tooth infection or another dental emergency in Torrance. Here is more about dry mouth, its causes and what you can do to resolve it. Dry mouth can be caused by prescription drugs, medical treatments and certain diseases, such as AIDS. When the mouth is dry, bacteria can more easily multiply and attack the teeth and gums. A lack of saliva also reduces the flow of minerals to teeth, weakening them as a result over time. Finally, digestion is affected by a lack of enzyme-rich saliva, reducing uptake of nutrients crucial to oral and overall health. If you are experiencing dry mouth, the steps you should take depend on the cause of the condition. If a medication is to blame, you should ask your doctor if your dosage can be reduced or if another drug can be substituted. Throughout the day, you can chew gum and drink plenty of water to keep your mouth moist. Finally, you should avoid lifestyle habits such as smoking and drinking as they can cause or exacerbate dry mouth. 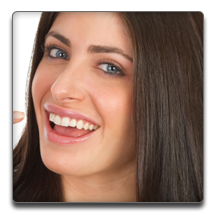 Untreated dry mouth can ultimately result in accelerated tooth decay and tooth loss. To help avoid these problems, you can take the steps above. For more information about dry mouth and its effects on dental health, you can schedule a consultation with our dentist in Torrance CA.